New Popcorn Indiana FIT Flavors! Home / Freebies / New Popcorn Indiana FIT Flavors! 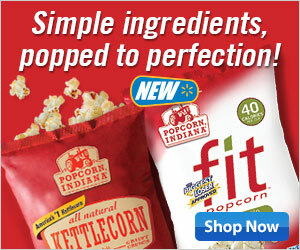 I want to introduce you to New Popcorn Indiana FIT Flavors with new tasty and healthy snacking options! Be on the lookout for the FIT line which has 40 Calories or LESS per cup! You will find Olive Oil, Sea Salt, Parmesan & Herb, and Real Butter Flavors! – Olive Oil FIT Flavor is verified Non GMO. Part of the Non GMO Project and 40 Calories per cup. I already LOVED Popcorn Indiana Popcorn and I am so excited to try these new FIT Flavors! Request your FREE Travel Guides from Any State in One Place! FREE Sample of Nordic Naturals | Enter the Recycled Art Contest!